Oh, baby it's coooo-ld outside. Cold weather? That’snow’ problem. If you’re in a particularly ‘frosty’ mood, then sit back and ‘chill’, this one’s for you. The team is back, this time armed with Christmas spirit and various festive jumpers, to visit not one, not two, but three different coffee shops for you: sampling the winter menu from each. It’s a hard life, I know, navigating through various flavours of hot chocolate and snaffling gingerbread, but don’t worry, they’ve managed it. I’ve compiled a list of their findings here in this handy article, so you can get the lowdown on the best of the winter menus. Hot chocolate in the cold after all, is ‘snow’ joke. This Italian-style coffee shop is situated in the Marketgate Shopping Centre, in town. “As coﬀee shops go, Cafe Nero is perhaps considered a lesser or secondary one. However, I have to say that their winter spice hot chocolate was delightful and a pleasant change from those usual Christmas ﬂavours of mint or cherry which seem to dominate the market. As picky as it sounds, I also always like that at Cafe Nero they give you proper chocolate sprinkles on top of everything rather than the powder that tastelessly coats most commercial coﬀee shop drinks elsewhere. I also tried a piece of their Salted Caramel cake since it was so festively dressed in gold and sprinkles. While lovely, my main comment would be it was a tad too sweet, and that’s coming from the sweetest tooth in town (seriously, I can eat insane amounts of sugar). “Good work, Nero. ‘Tis the season for limited time menus and this place certainly delivered for me in that regard. 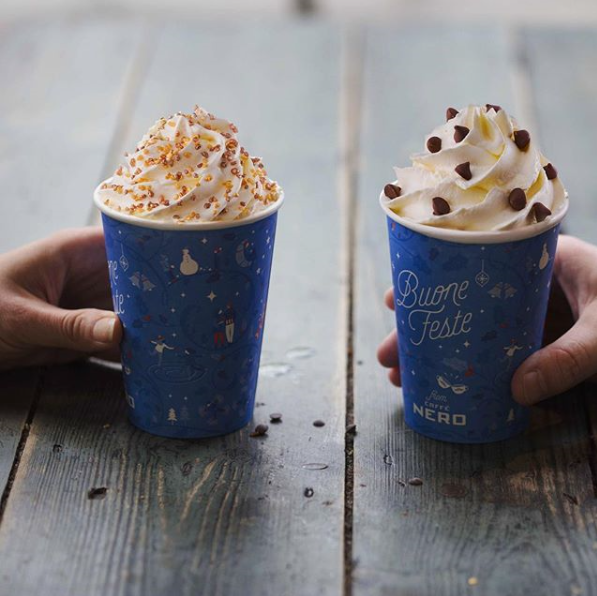 Caffé Nero is offering a range of seasonal hot drinks for customers, as well as a small extension to their cake menu. I went for a Winter Spiced hot chocolate and one of the cafe’s mince pies, and I was very impressed. I could actually have them for a start, which was a pleasant surprise; and I’m very glad I could. There are numerous Costa’s dotted around. You’ll find one in the Marketplace, Alexandra Square and County Bar. Image Courtesy of beautique.cornwall via Instagram. “As always, Costa’s Christmas delights never fail to liven up an otherwise typical coffee shop roster. 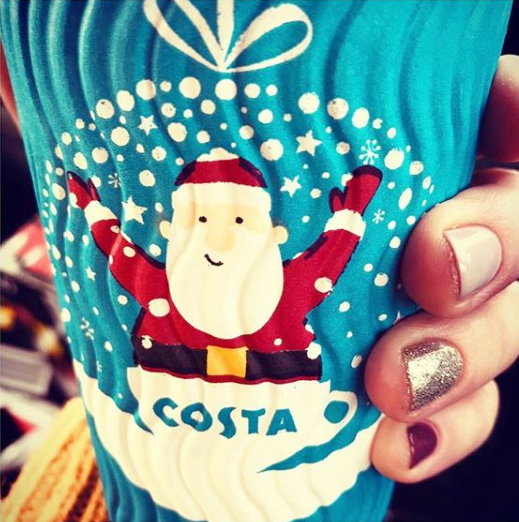 The festive spirit begins on November 1st, and a trip to Costa is always well worth it. It’s perhaps a little expensive to go regularly, but with the range of coffees and hot chocolates on offer, you’ll wish it was always the festive season. I particularly enjoyed the Black Forest Hot Chocolate. 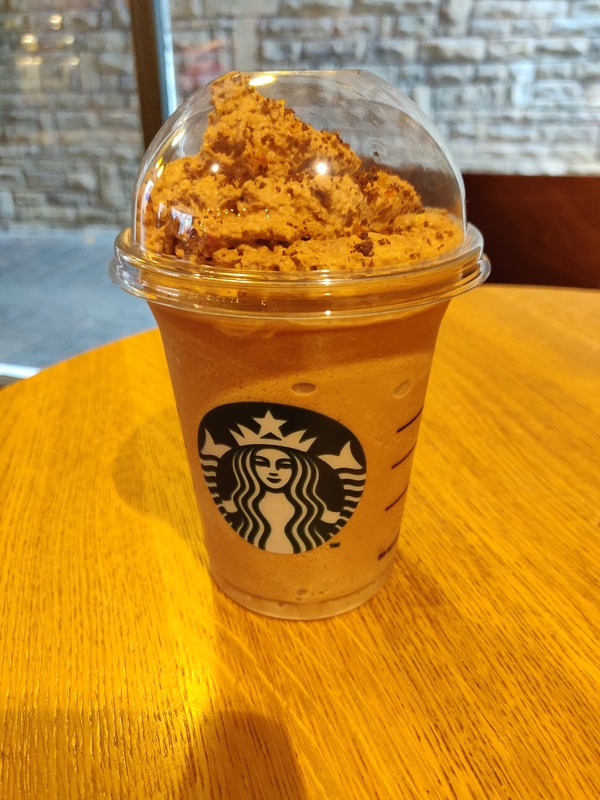 Much like the previous, there are a few Starbucks’ in Lancaster, including Marketgate Shopping Centre and Barker House Farm. “The time for Christmas coffees has arrived! Huzzah! Christmas coffees are arguably one of the many things that make Christmas epic. Recently I went to Starbucks to try out their new Christmas menu; I chose the Christmas Brule Latte along with the turkey feast sandwich. Other options were a Salted caramel brownie hot chocolate or a gingerbread latte.